by the case. 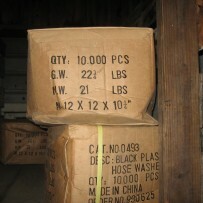 10,000 hose washers in a case. dozens of cases available.